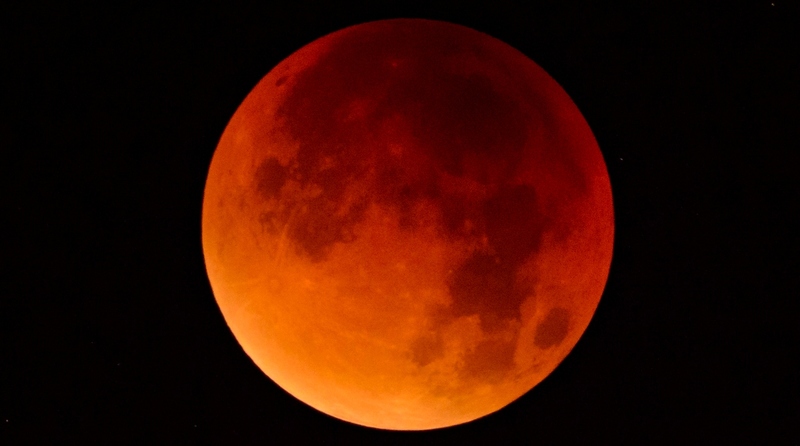 The total phase of the “blood moon” eclipse of July 27 will last 1 hour and 43 minutes, during which Earth’s natural satellite will turn a spectacular red or ruddy-brown color. The Blood Moon 2018 is going to be a once-in-a-lifetime event for skywatchers around the globe as it will also represent the longest total lunar eclipse of the 21st century during which, the Moon will be visible from Earth in red color on July 27 from 11:44 to 1:51 am. The total phase of the “blood moon” eclipse of July 27 will last 1 hour and 43 minutes, during which Earth’s natural satellite will turn a spectacular red or ruddy-brown color. From start to finish, the entire celestial event will last nearly four hours. The total lunar eclipse will be fully visible in Delhi. The penumbral eclipse will begin at 11:44 pm IST followed by a partial eclipse at 11:54 pm. A total eclipse will start at 1:00 am (July 28). The moon, closest to the center of the shadow, will showcase the maximum eclipse at 1:51 am. At 2:43 am, the total eclipse will end. The partial eclipse will start again around 3:49 am. At 4:58 am, the penumbral eclipse will end. The total duration of the eclipse will be six hours and 14 minutes. The moon turns deep red or reddish brown during eclipses, instead of going completely dark. That’s because some of the sunlight going through Earth’s atmosphere is bent around the edge of our planet and falls onto the moon’s surface. The eclipse will be visible in the Eastern Hemisphere including Eastern Africa, the Middle East, Central and Southern Asia and the Indian Ocean region. Unlike with solar eclipses, no special equipment is required to observe lunar eclipses. It is entirely safe to view directly with the naked eye, telescopes or binoculars, say experts.